What makes people listen and respond? It’s a marriage of the copy and the voiceover talent. Here’s what clients want: No hassles. Fast turnaround. Proper interpretation of the mood of the piece. Ready to use audio, sent directly to their computer. Tweaks, edits and changes included when necessary. A fair and competitive price. Uniquely warm, friendly, casual, smooth, easygoing, sincere, believable and empathetic voiceover or voiceacting for your project. Matter-of-fact spokesperson. From solid announcing to disarming character. 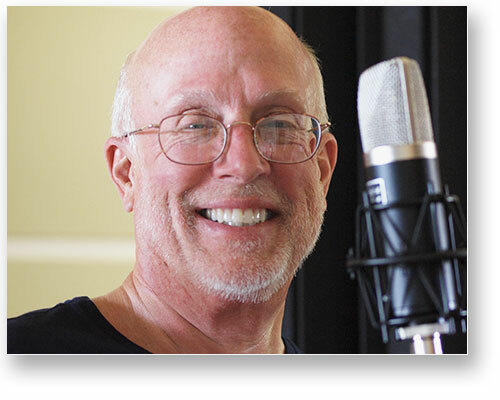 Voiceovers – A believable, trustworthy pro who can make your script come alive. Voice acting – The guy next door. From whimsical to serious. Consultation – To help make your imaging most effective. Creative writing – From scratch or as a touch-up, for your next commercial, narration or promo. Kraft foods, Disney, Baskin-Robbins, Bush’s Baked Beans, Marco Pollo, Epson, Scott and White, Pulte Homes, Sun City, 1st Care, Wisconsin Credit Union, Texas Association Home Care; St. Luke’s Hospital, TxTag, WhiteGlove, thousands more. Lexus, University of Dayton, St. Mary’s University, Park City Utah, Harcourt, QD Solutions, Atek Plastics, Internet Marketing Advisors, The Comstar Network, Boston Medical Center, World Health Organization, f5; many more. “Not only is Bob extremely talented, he’s also very versatile and takes direction really well—making him super easy to work with. “I can clearly tell that one of his main objectives is to make his clients happy because he goes above and beyond to get back to me with what I need very quickly. “And if anything ever needs tweaking, he’s more than happy to do whatever it takes. “Robert is an awesome talent, and a gentleman. In his first correspondence with me, he had already finished the intro/outro for my podcast at BusinessSuccesstheSmartWay.com. I got back to him with suggestions, and within an hour, all of the work was done and I released the payment. You will not work with anyone more professional or accommodating than Robert Wood. “Robert did a superb job on our CashSender.com online payments voice project. His ultra professional voice instilled confidence and polish to the read. His honed ability to place emphasis in exactly the right places speaks of an industry professional who knows exactly how to best deliver your script for maximum effect. I am super happy with Robert’s work. An AAA+++ recommendation! “Working with Robert was my first experience! Let me tell you that this man has an amazing voice. I hired Robert to do the Voice-Over for my Canadian Short Film. This man has made the difference for me and the production value of my movie was increased incredibly with his help. Thanks a lot Robert and if you’re wondering if he’s the man for the job, don’t hesitate. Hire him and be amazed by his production and voice quality! “Robert is absolutely fantastic to work with! I highly recommend him for any client who’s looking for a talent with terrific range, professionalism, and a commitment to give you exactly the read you’re looking for! We hired him for several national commercials, and will call on him again as soon as we are ready to produce more! 5-Star quality — and just as great to work with off mic! Robert was amazing to work with! I highly recommend his voice for any type of narration. Can’t wait to use you for our next project!